Opening Thursday January 5 at 8:00 pm, Mercer Union: A Centre for Contemporary Visual Art presents a multi-media installation by Josh Garber, an emerging artist who has recently settled in Toronto. This exhibition at Mercer Union will offer local audiences an introduction to this young artist’s work. 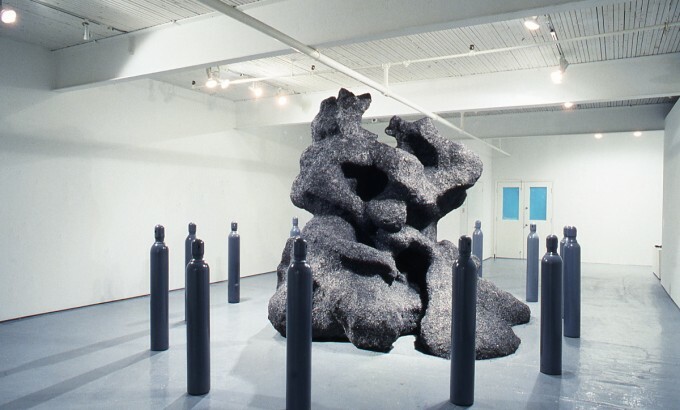 For this exhibition, Garber is developing a work in the gallery over several weeks using components created during a recent studio residency at the Sculpture Space in Utica, New York. Josh Garber creates large-scale, complex installations illustrating the outcome of mans obsession with technology and his pursuit to acquire products of our technological advancement. 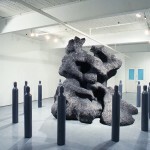 Constructing large anthropomorphic forms of steel, wire, sewer pipes, plaster, cement, and wood, his installations depict the resurrection of technological uncontrollable and destructive force. The title of the exhibition, Inheritance, points to this accumulation of waste and pollution ultimately to be inherited by the next generation. 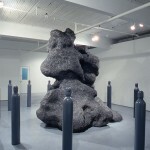 Inheritance continues in Mercer Union’s West Gallery through Saturday February 4. 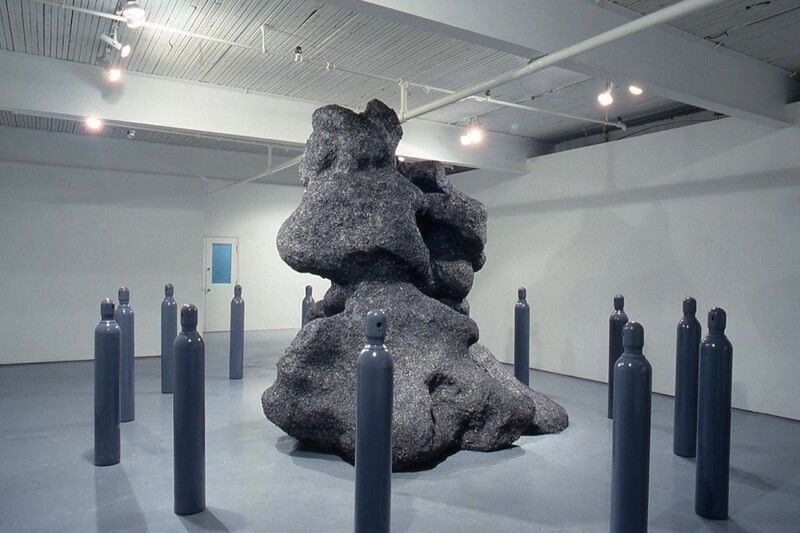 Completing his education at Alfred University in New York in 1986, followed by a one year residency at the Banff Centre, Garber has since participated in group exhibitions in Banff, Syracuse, Calgary, Saskatoon and Dallas. 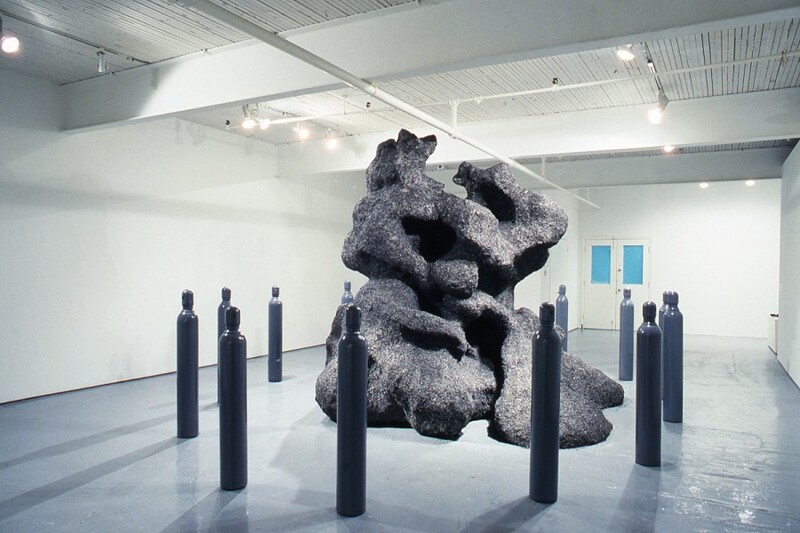 In August of this year, he created an outdoor installation sponsored by Gallery 101 in Ottawa, and will be developing another work on site at the City Front Plaza in Chicago as part of the Sculpture Chicago 1989 exhibition.